A new city flag — designed by two middle schoolers — will fly in the Queen City. On Monday night, the Burlington City Council approved the new design, which was submitted by twin brothers Owen and Lucas Marchessault. 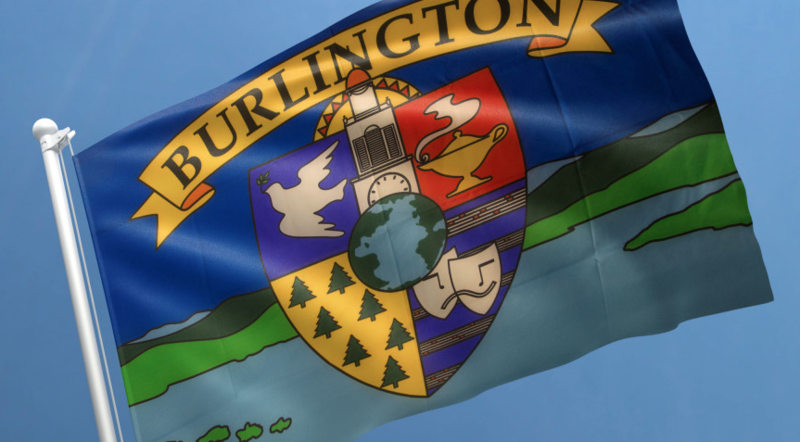 The new flag features blue, white and green stripes, and was chosen from among 138 submissions, according to Burlington City Arts. The public competition was launched in September to replace the city's current flag, which was designed in 1990 and features a coat of arms. 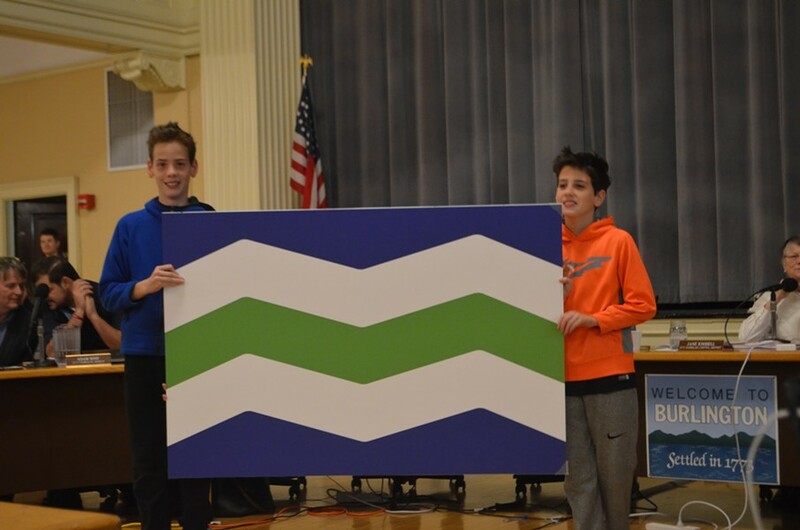 The Marchessault brothers, both seventh graders at Edmunds Middle School, said in their artist statement that the blue represents the sky and the Lake Champlain waterfront; the white stands for snow-covered mountains and the breakwater; and the green represents the Green Mountain State. In October, a committee made up of community members reviewed the designs and artist statements and narrowed the field to seven finalists. Then 1,427 residents voted online for the entries. The twins' design won. The new flag will be raised on December 31 at First Night. As a prize, the Marchessault family will receive $250, a flag of the design, and a one-year membership to Burlington City Arts.